Two State College businesses recently received honors for their contributions to the community. Gov. Tom Corbett recognized Webster's Bookstore Café and Videon Central in State College, for "creating jobs, developing ideas, reaching new markets and making positive contributions in local communities." Statewide, a total of 50 businesses were singled out for the governor's ImPAct award. 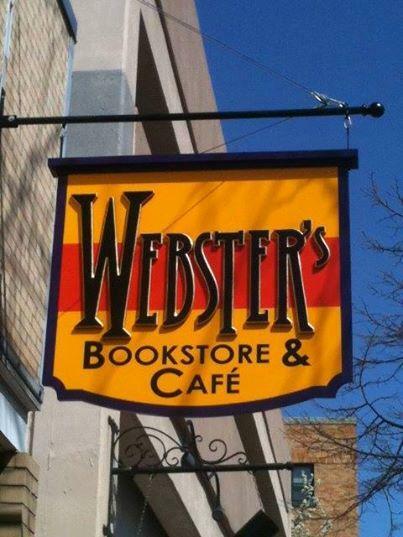 Webster's, located at 133 E. Beaver Ave., is a privately owned bookstore founded in 1974 on Fraser Street, which expanded to include a café in 1999 on Allen Street. The governor's office recognized Webster's for the business' impact on the community. Owner Elaine Meder-Wilgus says her business is more than a bookstore or café, but instead a place where folks interested in the arts, like poetry and music, can congregate and meet others of all ages with similar interests. The governor's award honors that aspect of the business, she says. "It's such an incredible acknowledgement of how a business can be bigger than about bringing in dollars and cents; it's sort of a statement of being part of a larger community," says Meder-Wilgus. Webster's has seen its challenges, closing during the recession in 2010, but later reopened its doors on Beaver Avenue. "It was because of the strength of the community's support that we actually did open again. For me to know that I am supported by the community, I already knew that, but to see it acknowledged publicly ... it's a beautiful thing," says Meder-Wilgus. Videon, located at 2171 Sandy Drive, is a media company that creates technology allowing consumers to view or stream video on devices like Blu Ray players and smart phones. Videon CEO Todd Erdley says the governor's ImPAct award highlights the importance of the company's entrepreneurship outreach program in partnership with the Chamber of Business and Industry of Centre County. "To receive the governor's ImPAct award says that not only are we doing it right here in Centre County, but we're doing it right in a much broader sense," says Erdley. "I'm really super motivated about the opportunity for entrepreneurship and economic growth in Central Pennsylvania. ... It's my hope this is a motivation for all of us try to move forward." An independent judging panel selected by the state's partners, Team Pennsylvania Foundation and Journal Multimedia selected the recipients. The Partnerships for Regional Economic Performance network, the state's regional economic development partner, selected nominees. The state received 247 nominations. "This recognition goes beyond the contributions made to Pennsylvania's diverse and vibrant economy," Corbett says in a prepared statement. "Today, we celebrate Pennsylvanians who embody the American dream by taking risks, working hard and achieving success." 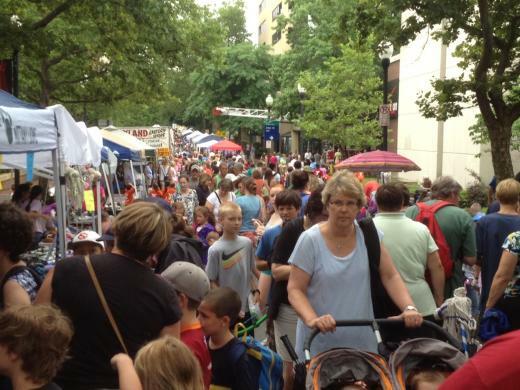 No disrespect to the unglamorous job the Trash Crew has done over the years keeping our streets clean during Arts Fest, but I'm happy to report that a more relevant group is taking its place: the Green Crew. The Green Crew grew out of a group that started meeting back in February with the goal of helping the festival become a zero-waste event. I've been following its progress with great interest.